We thoroughly enjoyed “Earth Celebration 2017” thanks to great people and good weather. Thank you very much to everyone who came along! I would like to offer my heartfelt thanks to each and every one of you. The photo below was taken at the “Living, Learning, Creating” exhibition that Kodo’s Yosuke Kusa curated at EC 2017. My handmade drumsticks were part of the display. 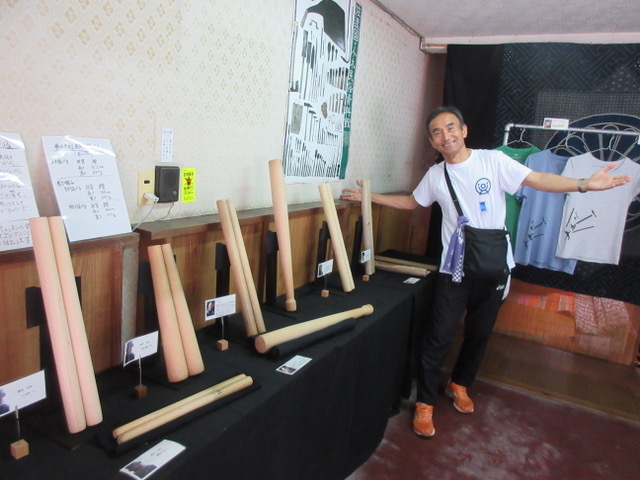 The three pairs of bachi (drumsticks) from the left side of the photo (o-daiko bachi, shime-daiko bachi, Yatai-bayashi bachi) are all my handiwork. Further along to the right are bachi made by Kodo’s Tomohiro Mitome, Yuichiro Funabashi, and Kenta Nakagome. Everyone who came to this exhibition was allowed to pick up the bachi. I wonder what they felt when they gripped our handmade drumsticks in their own hands. 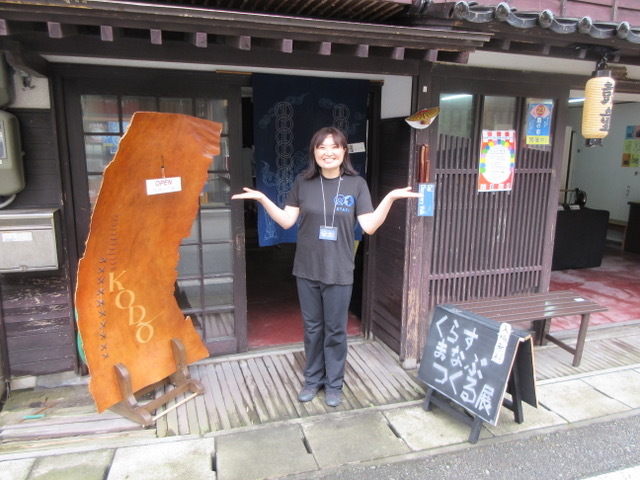 Here’s a picture taken at the entrance to the exhibition at Tennanso, where everyone was greeted by cheerful volunteer Shiho Takano. Tennanso is directly opposite Shiho’s family’s liquor store, Takano-ya. 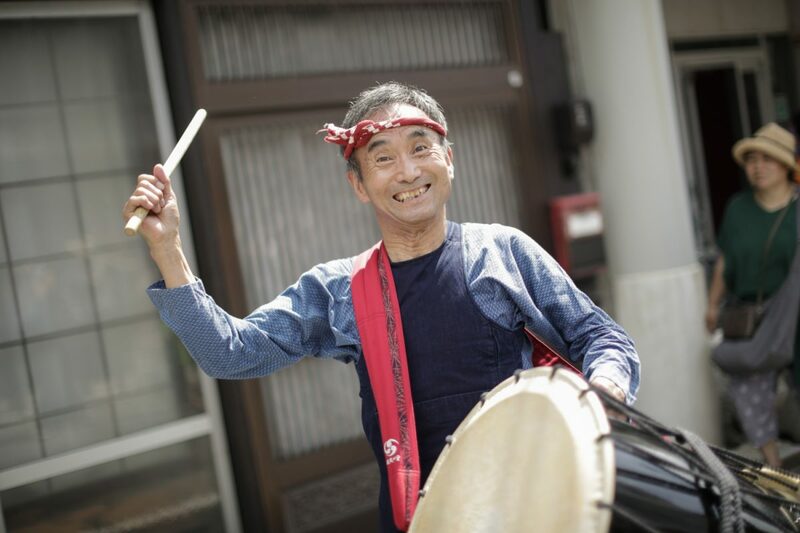 Today I also want to let you know about my upcoming “Body & Soul Workshop” series, which will be held this weekend on Sep. 2 (Sat) & 3 (Sun) at Taiko no Sato Kyowakan in Tokyo’s Meguro Ward. 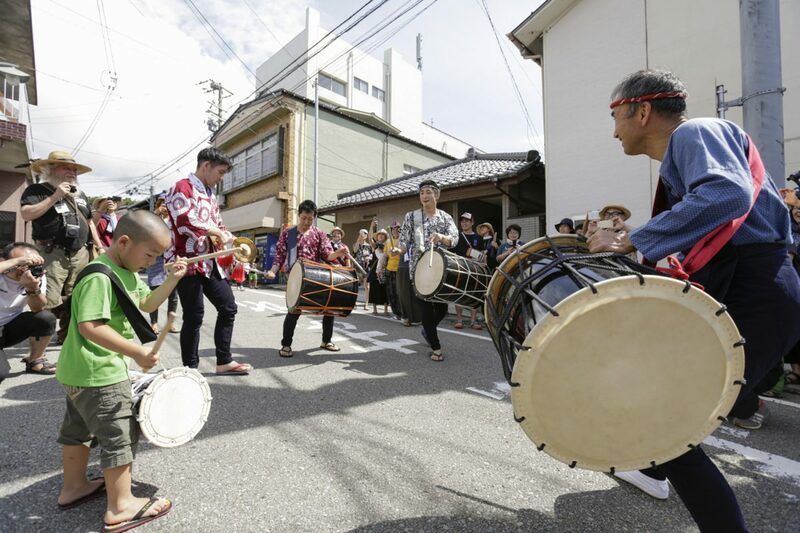 Also, on Sep. 4 (Mon) I will lead an “O-daiko Workshop” from 19:00–20:30　at Asano Taiko’s Shinkyokan in Hakusan, Ishikawa. I look forward to seeing you this weekend at my workshops in Tokyo and Ishikawa!